Dementia can be difficult to experience as a family and can cause stress and unhappiness. While the frustration of watching this happen to someone you love might feel like it’s too much to bear, support and specialist dementia care is available to help you and your loved ones every step of the way. Dementia is a syndrome that becomes a steady decline of a person’s brain functioning. This can result in memory loss, reduced thinking speed, difficulty understanding, decreased mood, impaired movement, difficulties in carrying out daily tasks and activities and more common brain functionality such as language and judgement. A person with dementia may become uninterested in daily activities or not be able to control their emotions, as well as experiencing hallucinations and finding that their personality may develop changes. In people aged 65 or over, there’s a growing risk of developing dementia, but forgetfulness can be an early sign of dementia. You may experience memory loss, though that’s normal for people dealing with stress, tiredness and those taking certain medications. Dementia may also reduce a person’s independence, as socialising, decision making and general understanding might become difficult and confusing to them. The most common types of dementia are Alzheimer’s disease and vascular dementia, making up the majority of reported cases. While there is no cure, there is a way to slow down the mental deterioration if diagnosed early. In most cases, with treatment and support, people with dementia are still able to lead full and active lives. As with all diseases and conditions, it’s always best to visit your GP if you suspect something’s not right or if you suspect newly-developing dementia symptoms. Paxton Hall care home offers dementia care. Our staff have received training with varying levels of dementia. 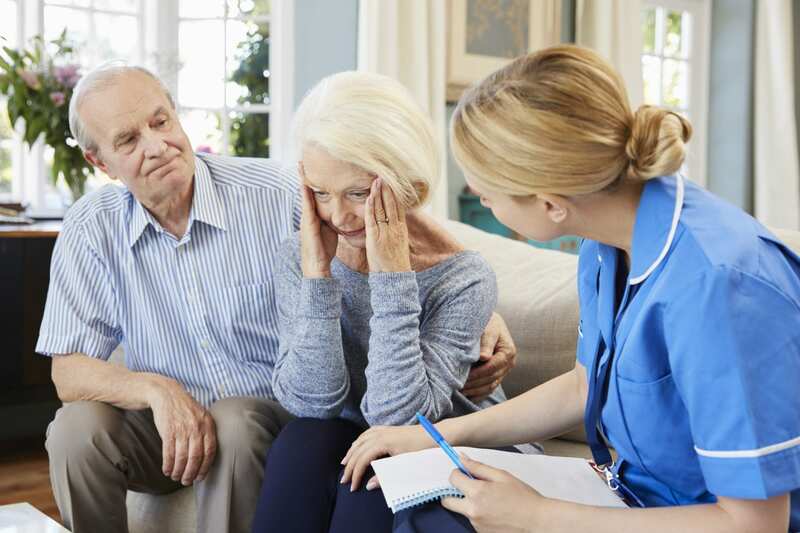 This allows them to look at care from our residents’ perspective, providing care tailored to each resident’s needs, always ensuring best practice and ensuring that each resident is treated with respect and receives the care that they need. Learn more about our Dementia care here.